recommended for: Fans of Trial by Fire by Josephine Angelini, Exquisite Captive by Heather Demetrios, Salt and Storm by Kendall Kulper, or other light fantasy-adventure sort of things. The mixed reviews around the blogoverse made me a little nervous for The Witch Hunter, but I set those aside and dove in with an open mind. I'm pleased that I gave it a chance. 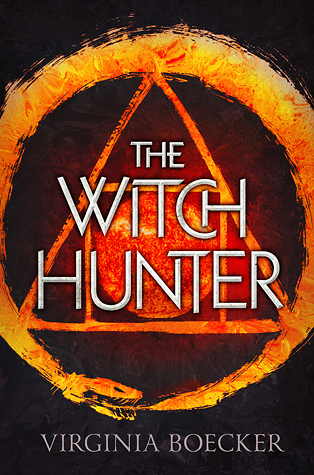 The Witch Hunter is a fun, light fantasy without pretensions. It's charm comes from a spunky, utterly competent heroine, a sweet romance, and a madcap adventure sort of plot. Fans of the dark, gritty fantasy trend, with lots of angst and pathos, may be disappointed. The tone here is little more commercial and a little less deeply philosophical than, say, Throne of Glass. It also reads a little younger. However, take it for what it is and there's a great deal to enjoy: magic, pirates, ancient swords, ridiculously swoony healers, snarky demons, ghost butlers, and a fast-paced plot. I may not gush over it the way I have with other fantasies, but I really had a lot of fun with it. Don't listen to the blurb when it compares this book to Graceling and Game of Thrones. It's neither as slow-moving (don't hate me) and character-driven as Graceling, nor anywhere near as grave, twisty, or dark as Game of Thrones. The Witch Hunter is the candy of the fantasy world. It follows the adventures of master witch hunter Elizabeth, condemned to die for possessing illegal magical herbs and saved by Nicholas Perevil, a powerful and cursed wizard. He pledges to hide her from the witch hunters if she'll break his curse. In the process, she falls head over heels with a sweet young healer, befriends a demon, fights a ghost butler with dead geese, and wields an ancient sword. Boecker makes some stabs at gravity with Elizabeth's inner angsty fears of being alone, but never enough to derail what's truly a swashbuckling sort of adventure. Many people will probably hate Elizabeth. She's sort of spastic. She's not always the cleverest. I didn't mind. I found her much preferable to some of the saccharine sweethearts served up in other fantasies. Elizabeth is a badass witch hunter. She know's it. She's a bit in love with her best friend, but not enough to distract her. I appreciated that. Nicholas is a little less central than expected; you mostly come to know him through the fierce admiration of his underlings. There's John, an absolutely refreshing love interest. He's not a bad boy. He's not untouchable or brooding. He's just a really sweet guy who likes to joke and would die for his friends. How novel! I loved it. Fifer was a little more difficult to pin down, seeming somewhat different depending on which half of the novel we were in, and Blackwell was basically your typical supervillain. These aren't deeply drawn people. They're a bit exaggerated. They're just fun. And that's really the crux of it. There's much here to entertain, but it's done with a sort of commercial appeal. You can think of it somewhere between Ella Enchanted the book and Ella Enchanted the god-why-did-you-make-that movie (these being the poles on a spectrum from breathtaking to horrifying). Most of the writing is solid, but it's nothing special. There were few points at which I thought, "Yes, that!" Some of the dialogue is quite funny, but much of it reads more like a bouncy contemporary than a fantasy. Every time the characters used modern teenage slang, I was yanked out of the world and had to dig my way back in. It's just...okay. And that okayness carries over into the plotting. There's nothing overtly wrong with it. Boecker has a keen sense of pacing. It's probably what kept me reading through some of the muddier parts. I really wanted to know what would happen next. But it's commercial fantasy. I thought a lot of the movie Dungeons and Dragons while I read this. The Witch Hunter is similarly hand-wavey with its explanations, similarly over-the-top and tropey. But I have a great fondness for that movie, even though I know it's flimsy. Sometimes, you just need a fun adventure, and you don't need it to be Pulitzer-worthy. Blackwell is a paper villain. The sword, Azoth, is utterly too convenient and not well explained. There is an eye-rolly number of coincidences. If that bothers you, maybe consider another book. but ultimately, it delivers on its promise of excitement. If you can set that aside, then there is much to enjoy. Boecker writes with an underlying humor and liveliness that kept my interest. She also has a certain flair for the cinematic. Her fight scenes were pretty epic. The one scene, a fight between Elizabeth and a ghost butler mostly involving dead fowl as weapons, was just hilarious. Some of the magical scenes towards the end were really atmospheric. I also cared enough about the characters that I wanted to see them succeed and felt nervous for them when danger drew near. Plus, she so neatly avoids a love triangle that I wanted to clap. The Witch Hunter probably won't make it on my Best Of lists, and it certainly doesn't eclipse the intricate brilliance of Throne of Glass or even Graceling. Then, it doesn't need to. The Witch Hunter is a fun, frothy fantasy. 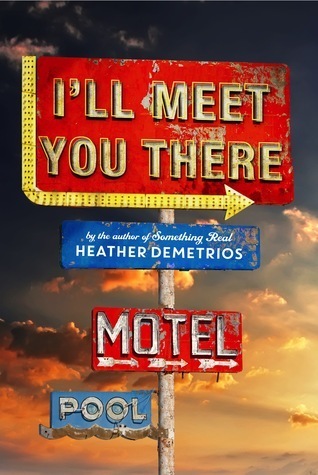 While it leans too heavily on tropes, it certainly delivers an exciting adventure for anyone seeking a light summer read. will i read this author again? Maybe. I'm not clamoring to. will i continue the series? We'll see. Probably not a top priority. You did a very good review. I think I might have met you during BEA. Your review is well thought out. I liked it a little bit more than you did, but that's okay. I hope you love all your new books. Thanks! I'm glad you liked it. I'm always sad when I don't like a book as much as I want to. Did we meet? Do you remember where it was?